Savannah is a great city for a Girlfriends Getaway. It has a charming historic district, eclectic shops and boutiques, outdoor activities, and a hopping nightlife. If you’ve been longing to meet old friends in a new place, consider planning a Girlfriends Getaway at one of our Savannah GA Vacation Rentals. All of our Savannah Vacation Rentals are located within walking distance to Savannah’s historic district and Riverwalk. They are close to numerous restaurants and bars, as well. Explore the district together or call for take out and spend an evening catching up in your luxury vacation rental. Bring the girls to tea at the Gryphoon. Our vacation rentals Savannah are fully furnished and have kitchens. The Mary O’Connor House sleeps 6 to 8 people, while the Broughton Street House sleeps up to 12 people. If you are planning a large getaway – such as a reunion of sorority sisters – consider renting the 109 West House, which can comfortably accommodate up to 26 people. Savannah Smiles Piano Bar: An all request rock n’ roll dueling piano saloon. Six Pence Pub: a fun English pub around the corner from our Savannah Vacation Home. 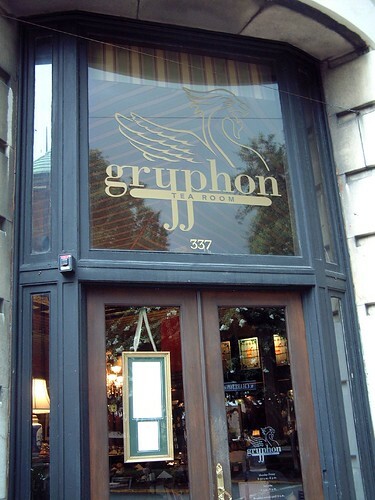 Gryphon Tea Room: go for breakfast or enjoy a classy afternoon tea. The Pirates’ House: it’s been plying visitors with food and drink since 1753. Wall’s BBQ: you’ll be drawn in by the enticing aroma of slow cooked meat. Take the food back to your nearby Savannah Vacation Rental.